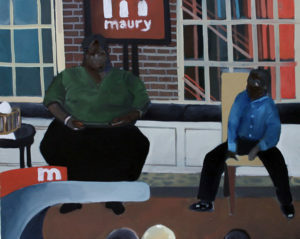 James Harris Gallery | Noah Davis: "Savage Wilds"
James Harris Gallery is pleased to present our second solo exhibition by Noah Davis. 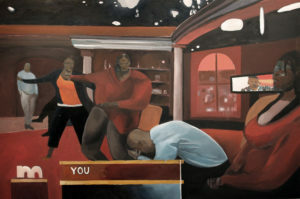 With Savage Wilds, Davis considers the blurry line between reality and the artificial within the artist’s process of fashioning an identity and a corresponding body of work. 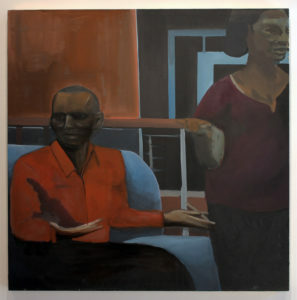 The show takes its name from a 1988 play by author Ishmael Reed in which he sought to expose the absurd nature of American racism, especially as represented in mainstream television. 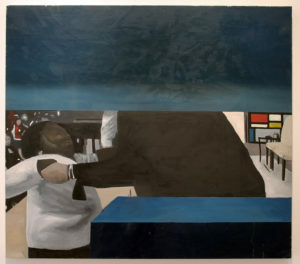 Davis uses the phenomenon of late 20th century American tabloid talk shows to look at the production and spectacle of modern life, its relationship to the notion of artist as creator, and the latent parallels between highbrow and lowbrow culture. 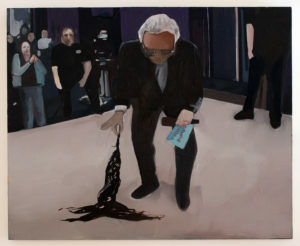 Transposing the televised world of Jerry Springer and Maury Povich from midday trash TV into the gallery setting, he adds yet another layer to this dialogue, which emphasizes the voyeuristic exchange between artist and audience, drawing attention to correlations between staging, performance and the cult of personality.